I Have Upcoming Appearances for LEX TALIONIS So Come Join Me! If you are from Trinidad and Tobago, or you’ll be in Trinidad on October 27th 2014, feel free to come on down to the Carnegie Library in San Fernando on Library Corner. I’ll be holding a Meet and Greet session for Library Week from 3:30pm to 5:00pm. There will be other local authors there and the event is free and open to the public, so please come out and support if you can. Even more exciting, I will be on a speculative fiction panel with award-winning spec fic writer, Karen Lord, on November 9th 2014. We will be at the NGC Bocas South Lit Festival at the Southern Academy of the Performing Arts, UTT campus, from 11:00am. 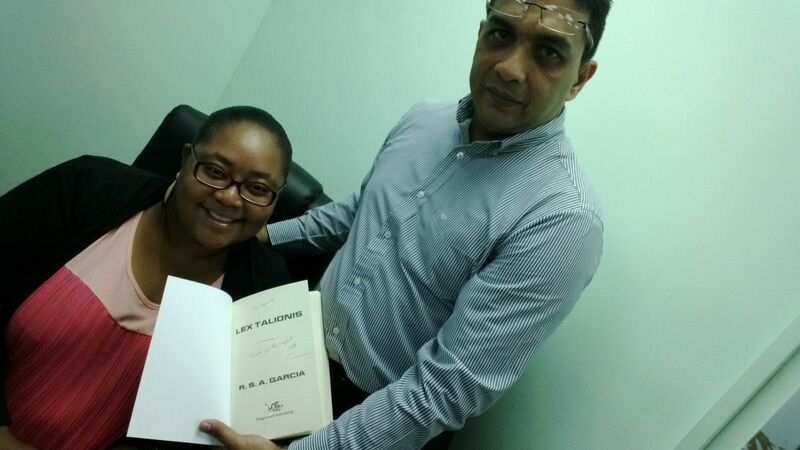 Both of us will be reading from our books and there will be a question and answer session. Again, this event is free and open to the public. 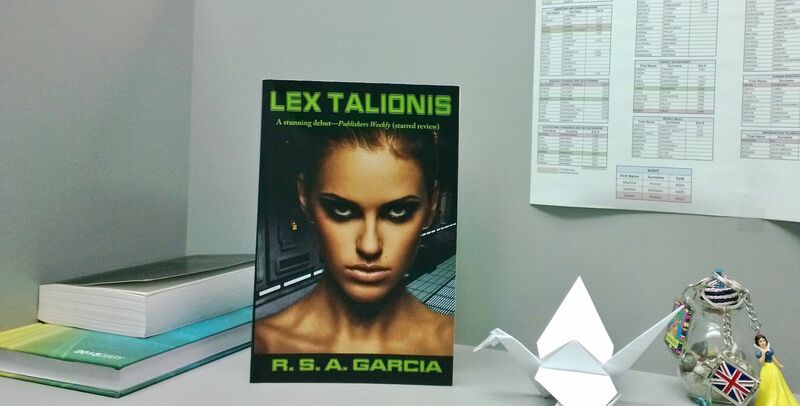 Copies of LEX TALIONIS will also be available for sale. 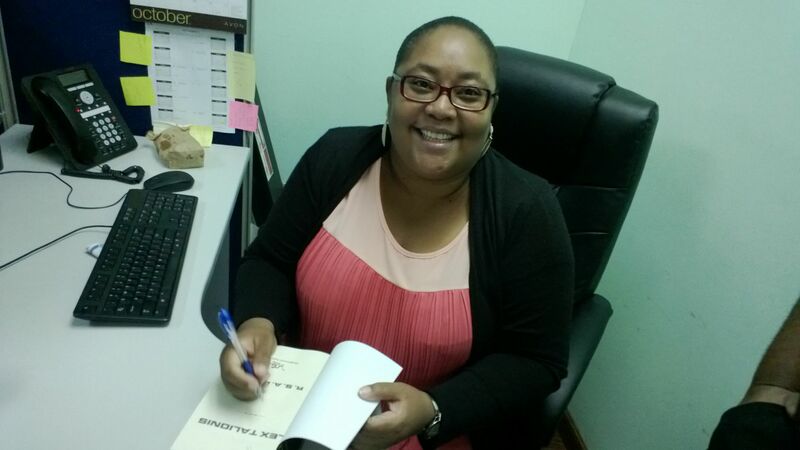 Recently, I’ve been lucky enough to autograph copies of my book for colleagues so here’s a few pictures of me doing the author thing for real. 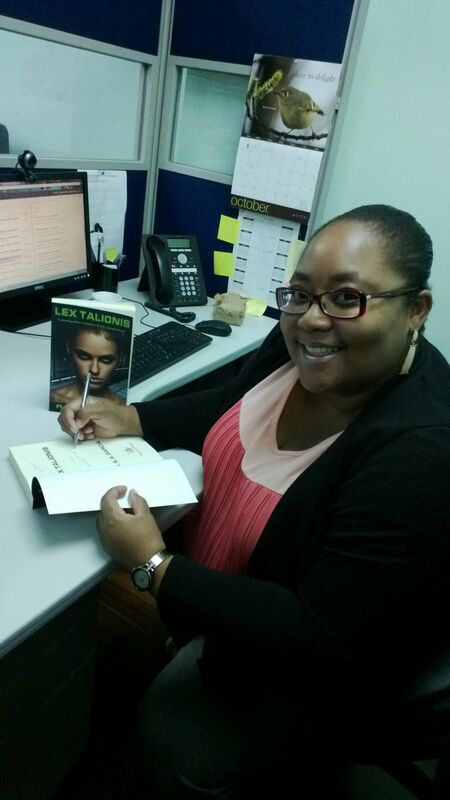 A dream come true, being able to autograph my own book! Here’s my book on a co-worker’s shelf. And here’s me autographing a couple of copies. ← LEX TALIONIS by R.S.A. Garcia – A Talk With a Book Club And An Actual Signing!